Many students need some type of financial assistance when pursuing a higher education. 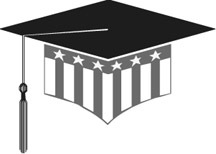 If eligible, Girls State citizens have the opportunity to receive financial assistance through the Samsung American Legion Scholarship. This scholarship will be awarded to qualified students who are descendants of United States wartime veterans. Selection criteria include academic record, community involvement, school activities and financial need. ELIGIBILITY: High School Juniors who participate in and complete either an American Legion Boys State or American Legion Auxiliary Girls State program and be a direct descendant, i.e. child, grandchild, great-grandchild, etc. or a legally adopted child, of a U.S. veteran who served during a period of war. If you meet the eligibility requirements you can access the Samsung scholarship application by clicking here.